These Letter Sound Cards are made especially for children who are beginning to learn letter sounds. These cards give them only two choices so they are not overwhelmed. One day, we were working on the Snowman Letter Sounds Game (on the Winter Theme page), and I had some children who were just overwhelmed with the activity. I noticed these children really wanted to learn letter sounds, but they struggled unless I pointed out two pictures on the snowman cards. They were then able to choose between the two pictures. That’s when I created these cards that have 2 picture choices. I am using these cards this way: The children place a translucent, colored bingo chip on the pictures that begin with the letter on each card. When they are finished, they turn each card over, one at a time, for self-checking. On the back of each card, I glued the clipart that shows the correct answer (e.g. on the back of the Zz card, I glued the zebra picture). Another way to use these would be to have children clip a clothespin to the correct answer. The pictures on these cards are the same ones in my Alphabet Action Cards that we practice all year. This is a free download, just click the link. If you need more Letter Sound Cards, I have this set available in my shop. There are 104 cards, with 4 cards for each letter of the alphabet. Karen, I used these today with great success. Thanks for creating them! So glad I found your site. Thank you for the work you put in on these cards. Tomorrow morning, these cards are getting printed off for the two preschoolers I have in my care at this time. They have the names down and can write, but the sounds have been harder in coming. Love the idea of one is and one isn’t. That will help them focus and reinforce in a positive manner. Your website is full of refreshing ideas to use with pre-schoolers. As classroom superviosr of the center I will require teachers to visit and print from this site. This will help us take our center to the next academic level and I am sure parents will notice and appreciate our efforts. Can’t wait to share my findings with our Sr. Director! Keep those ideas coming! This a great idea! I think I am going to try this with my pre-k’ers. I think I will add a fine motor component to the self checking part of this game. I am going to have the kids use clothespins to clip on the correct picture; on the backside of card there will be a sticker. If the clothespin is over the sticker, they picked the right answer. Sounds like a great idea, Elizabeth! Love these…your website is wonderful! Thank you for creating this site!! 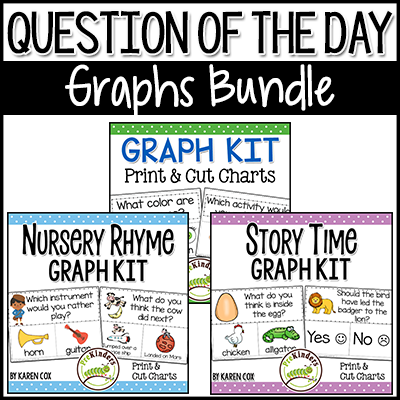 So much great info and wonderful printables! I have decided to return to preK after teaching elementary for many years. Blessings to you! Your site is amazing… so neat and well organized and SO helpful. I can’t get any work done in my house this summer! Thank you for creating such an amazing website. This is going to be my first year teaching pre-k, so i’ll be visiting your site very frequently. Keep up the terrific work! SIMPLY FAB-U-LOUS!! This is my first year teaching Pre-K (after many years in elementary) and I have already found some wonderful ideas/projects for my class. I’ll definitely be visiting you site daily! Thanks for all your time, energy and hard work! You are truly a blessing….more like a god-send! Thank you again! Thank you you for your generosity! You are helping so many kids this way. across this. I will try some of the activity to my nursery class tomorrow. Thank you!! This is an AMAZING resource for teachers and those who home school. I took a break from teaching to stay home with my son and this is perfect for his level right now! Love all the “hands on” activities. Too many sites are just worksheets. I am passing this along to other teachers/moms I know! Thank you for such wonderful ideas. I am a former elementary teacher and I now stay home with my daughter, age 2. She has already learned all her letters and sounds thanks to so many of your printables! Thank you! Just love your website. Have taught preschool for almost nine years and I really do get wonderful ideas. Bless you and thank you. This is a great site with great ideas, do you have anything for older children in grade school to help with spelling, multiplication tables etc.? I’m sorry, RK, I teach Pre-K, so I don’t have anything for older children. I’m sure there are many great sites out there for elementary school teachers. I have a third grader and I take the same ideas and modify to his level. Multiplication tables is usually memorization. I attended a make and take workshop on math facilitated by a second grade teacher who made the same thing using a Pringles can. She drew up the fact sheet, laminated and taped to the can. Placed another laminated graph with the multiples on top, holes cut out to show answer and secured top to bottom to each other so it can be turned. Any multiples they are working on are placed inside the can for safe keeping (usually a sheet). I teach in a French Immersion program and would like to make some of these cards myself. All my attempts in Word look horrible. What software do you use? How difficult were the cards to make? Sheilagh, I just used Word with tables. I’ve followed your website for a number of years and it just keeps getting better! Thank you for the awesome materials you provide. I am tutoring kindergarten students who are at a remedial level and your activities and materials are wonderful!!! Thank you again! Thank you so much for your willingness to share your ideas online!!! I have 3 kids under 5 and am always looking for things I can do with them. I taught high school for 7 years and my husband teaches middle school… so when it comes to the creative ideas for our little kids we are at a loss!!! thank you so much for all the different activities. I am a Speech Therapist, and I am always looking for new and refreshing ideas. You are amazing!!! Hi Karen, I use your site frequently for ideas for my Pre-K class. I am excited to make these cards for my kids to practice their beginning letter sounds, thank you! Hi Karen, you are amazing! Such simple but great ideas for the little ones! Thank you.